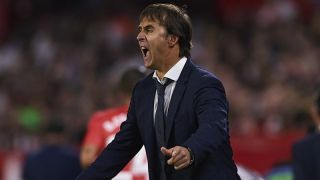 It was always going to be difficult for Real Madrid boss Julen Lopetegui this season, but the pressure is reportedly building on him from within the camp too. Given the level of success that predecessor Zinedine Zidane enjoyed in recent years, the man to fill his shoes was always going to struggle to meet expectations immediately. That has been the case so far as Los Blancos are currently three games without a win in all competitions, which has included defeats to Sevilla and CSKA Moscow in La Liga and the Champions League respectively. While that would be enough to raise the pressure levels at the Bernabeu in itself, it’s now claimed by Mundo Deportivo that Marcelo, Luka Modric, Gareth Bale, Keylor Navas and Mariano are starting to question Lopetegui’s decisions. If accurate, this should be a major concern for Real Madrid fans. Particularly in the cases of Marcelo, Modric, Bale and Navas, senior figures in the dressing room, losing their trust and belief is undoubtedly going to have a negative impact on the group. With that in mind, Lopetegui will be desperate to get back to winning ways this weekend against Alaves, as positive results always calm a tense situation down. However, he’ll need to ensure that his entire squad is on the same page in the coming weeks and months to ensure that his stint in charge of Real Madrid is a success. Losing Cristiano Ronaldo this past summer was also a blow for the reigning European champions, severely weakening their bid to maintain their level of success in recent years. It will be down to Lopetegui to ensure his players live up to expectations and believe in his methods to make it happen.